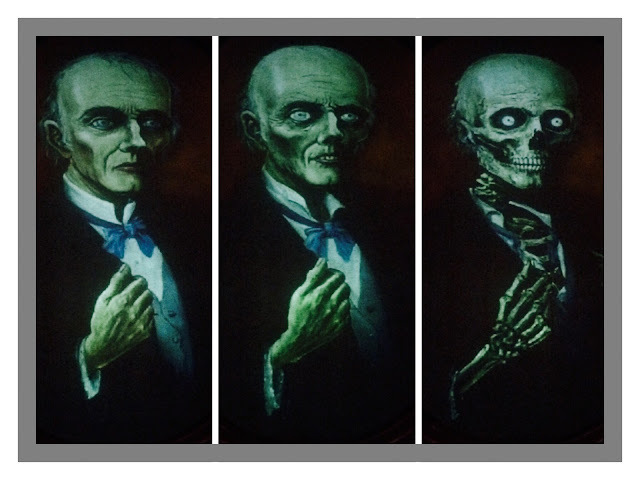 As the Haunted Mansion is my favorite attraction, I'm always looking for new or unique photo opportunities. After entering the foyer today, I found myself standing in front of the "aging man" portrait over the fireplace. This painting of the master of the house slowly changes from a young man into a rotting corpse. I was able to snap three shots showing this transformation. In trying to figure out how to post them as one picture, I came across a nice little collage app that did the trick.